Even before joining the East End Financial Group in January of 2014, Liz Niles had already enjoyed working with the firm while still with her former employer, for whom she handled payroll and 401(k) planning. "I was always impressed by how friendly and professional they were," recalls Liz. "When the opportunity came up, I was excited to become a part of East End." 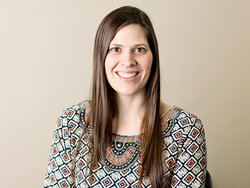 In her role as an administrative assistant, Liz enjoys direct contact with many of the firm’s clients, doing whatever is needed to see that their needs are met quickly and efficiently. In addition, she helps coordinate staff calendars and appointments, assists advisors in various capacities, follows up on all correspondence, and helps plan events for both the GLK Foundation and EEFG. "I love that we’re a family-based company, that we’re all local to the North and South Forks, and that the clients really become like family," she says. "I also like that I can be a part of helping clients with what can be a very stressful part of their life – money." Outside of work, Liz enjoys antiquing, baking, traveling and spending time on the North Fork, especially during the Fall. Liz and her family live in East Moriches.